Melania Trump put on a glowing display in a sophisticated black ensemble as she stepped out this week to deliver a powerful message on drugs. The First Lady looked absolutely gorgeous in a black blouse and tightly fitted black skirt for the meeting in Las Vegas on the opioid crisis. 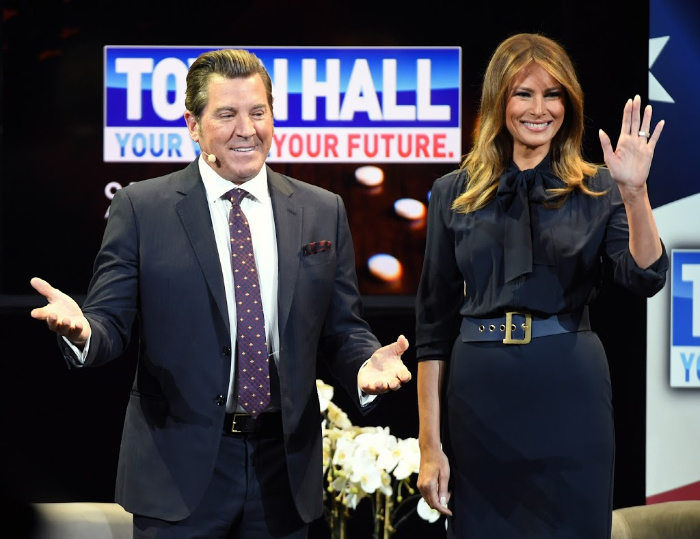 With her hair styled in soft waves, President Donald Trump’s wife was all smiles as she waved to crowds at the Westgate Las Vegas Resort and Casino in Nevada where she spoke openly about her views on the use of drugs throughout the country. Melania chose to keep her makeup to a minimum for the event with a touch of blush to her cheeks and a light pink lip completing the look. The visit to Las Vegas was part of the 48-year-old’s three-state tour in which she highlighted children’s well-being cyberbullying and opioid abuse. During her most recent speech, Melania revealed her approach to conversation on drugs with her 12-year-old son Barron. “I teach him, I try to explain how drugs are dangerous and how they will mess up your head, mess up your body and nothing positive comes of it,” she said at the town hall meeting, The Daily Mail reports. Melania Trump looked stunning in black. Source: Getty. 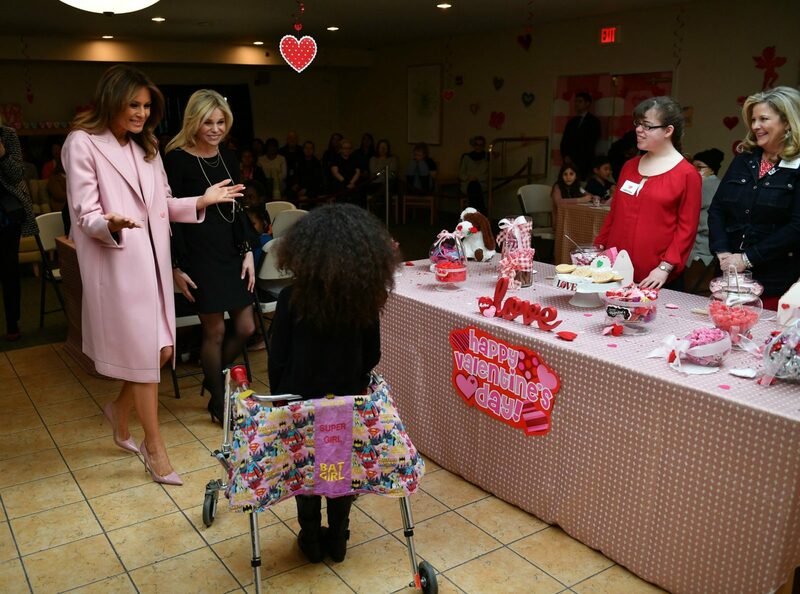 Her trip to Las Vegas followed a visit to the Children’s Inn at the National Institutes of Health in Bethesda, Maryland a few weeks ago. Here she joined in various arts and crafts projects with the young patients. The First Lady looked sensational in a standout pink ensemble on the day which included a $2,512 pink coat by Belgian designer Cedric Charlier and a matching blush-coloured dress. Melania, who has been married to Trump since 2005, added sky-high blush stilettos to the elegant look. Keeping with a natural look, the First Lady chose to go without jewellery, while using dark mascara to highlight her eyes and a hint of blush on her cheeks. As for her hair, the mother-of-one kept with her usual down wavy style. Are you a fan of Melania Trump’s outfit? What do you think of the work she is doing to address the drug crisis?